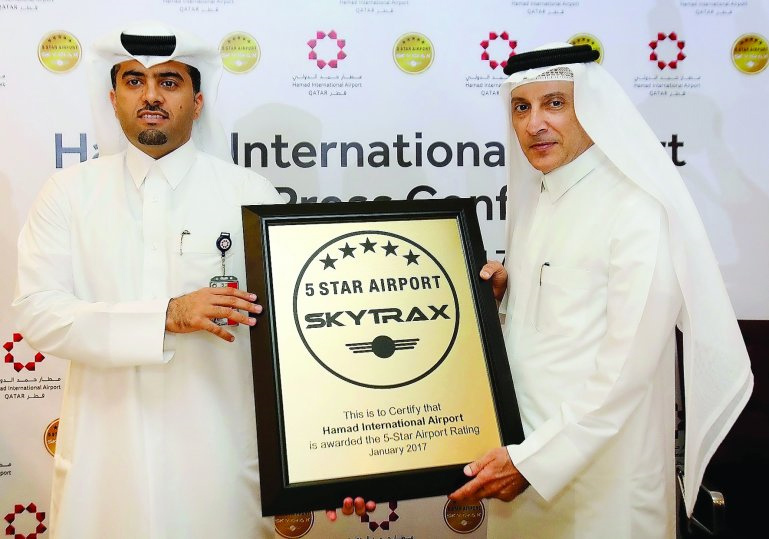 Hamad International Airport has today been awarded with the global 5-Star Airport rating by Skytrax, the international air transport rating organisation. 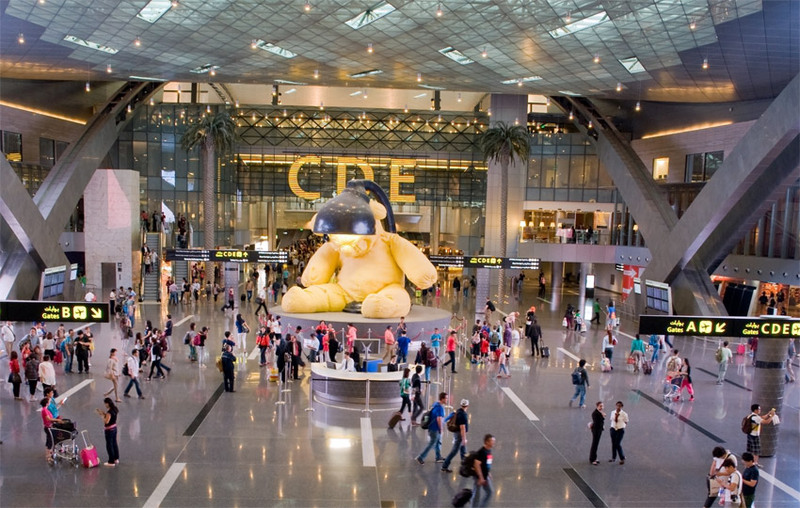 Only five other airports in the world have gained this accolade, four of those airports are in Asia, one in Europe and Hamad International Airport becomes the first airport in the Middle East to achieve this 5-Star rating. As the home base airport for Qatar Airways, one of the world’s first 5-Star Airlines, it is befitting that Hamad International Airport now provides a true, world class 5-Star Airport experience. A primary focus in the 5-Star criteria is that an airport must offer an easy travel experience to customers, from wayfinding and signage to the security and immigration processing points, and these all deliver to a high standard at HIA. Cleanliness and presentation is another key item Skytrax focus on, since an airport’s mass processing of customers must bring with it an assurance of hygiene. Washrooms, seating areas, and other front line facilities were all subjected to rigorous tests, and HIA performs well to meet 5-Star criteria. As the hub for Qatar Airways, the majority of travellers are passing through HIA as transfer customers, and anyone with a few hours to spare can enjoy the fabulous range of facilities and services on offer here. The hotel inside the terminal, leisure facilities including spa, swimming pool, squash courts and gym. Quiet rooms and internet centres. All customers can enjoy the public art collection, something for which HIA is a unique airport in the world for the diversity and quality of this. The Lamp Bear by Swiss artist Urs Fischer takes centre stage as the focal point in the airside area, with other large-scale murals and sculptures throughout the terminal. The Tom Otterness playground sculptures combine art, fun and uniqueness, with oversized sitting figures, laying down figures, and the awe-inspiring 4-story tall double headstand figures – letting children and adults sit, slide, play, and interact with the sculptures. 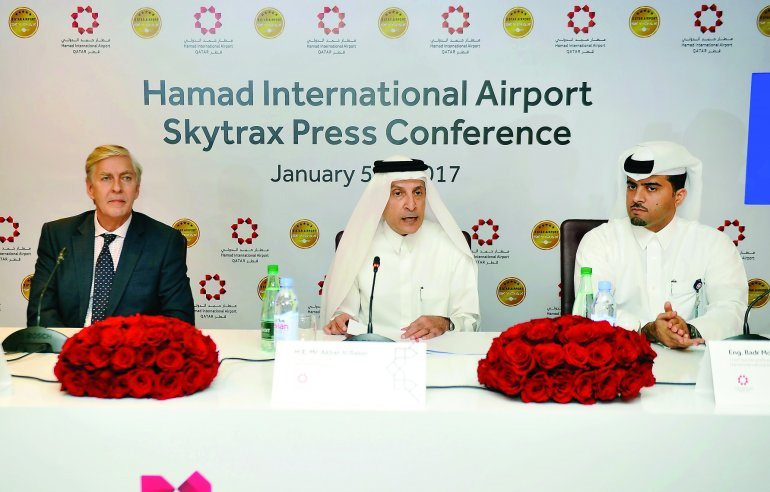 “We extend our congratulations to Hamad International Airport for achieving this 5-Star Airport recognition, as well as being the first airport in the Middle East to gain this status. This accolade brings the challenge that 5-Star Airports find their customers become ever more demanding, and we have every confidence that HIA will continue to both maintain and improve standards as we move forward into 2017,” added Plaisted.